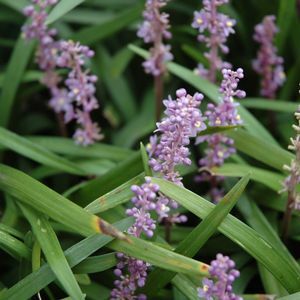 This grass-like clump grower at 12-15” tall, with 3/8” wide leaf blades produces deep purple flowers in late summer followed by black berries in the fall. 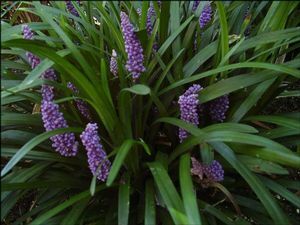 With a moderate to fast growth rate, ‘Royal Purple’ will fill in quickly and require little maintenance. 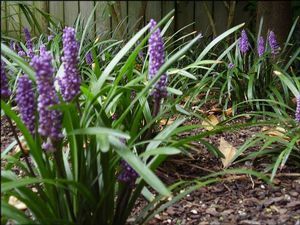 Fertilize and cut back old foliage in early spring. 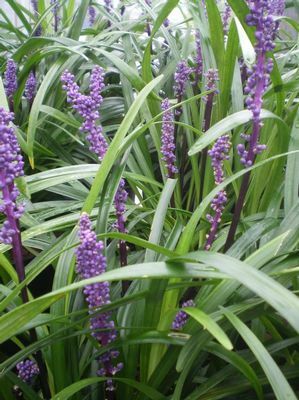 Liriope is tough plant that holds up to summer heat and humidity.